Wouldn’t you like to hear about specific surgical tricks, friendly advice and inspiring ideas from prominent experts witnessing countless numbers of cases every year? This Webinar was organised by the EFORT Basic Research Education Group independent of any commercial educational support and hosted by M-Events. Demonstrating that harmonious spino-pelvic alignment is the key factor in asymptomatic subjects. Showing how classification of adolescent scoliosis is not useful in adult scoliosis and the need of specific classifications. Focusing the bridge between degenerative changes and sagittal/coronal deformity. Evaluating how important is the spinal alignment for hip surgeon. Overviewing the different options of surgical treatment and if there is space for MIS. Discussing indication for surgery in this challenging conservative approach. This Webinar was organised by the EFORT Orthopaedics Education Group independent of any commercial educational support and hosted by M-Events. A joint collaboration between European Federation of National Associations of Orthopaedics and Traumatology (EFORT) and the European Society for Surgery of the Shoulder and Elbow (SECEC). presenting special aspects in children and adolescents. The REPLAY version is available! Age is the major risk factor for osteoarthritis (OA) of the knee, however young people can also have OA. The aetiology is usually different in young population than the elderly population. Diagnosis is often delayed and sometimes difficult because of higher tolerance to pain. Some considerations should be taken into account when choosing a treatment modality in young due to their high expectations. Bearing this in mind, the diagnosis and treatment of knee OA in young adults should be scrutinized well. To recognize the young knee OA. To classify/score the level of OA. To choose the optimum treatment modality. The REPLAY version of the webinar is now available, to access it, please LOG IN in your VuMedi Account or create a new account to access it! 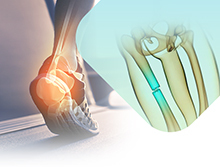 This webinar gathered the most critical information about bone defect therapy in lower extremities in a clear structured and comprehensive manner strictly independent from any implant manufacturer influence. It is a joint venture project of the SOFCOT and EFORT e-learning group gathering European experts in this field, and gives a comprehensive condensed overview from actual gold standards to innovative future solutions. The REPLAY version of the EFORT-SOFCOT webinar is now available, to access it, please LOG IN in your EFORT-FMC Account or create a new account. Do not forget to confirm your account! The Basic Science and Research on-line course was launched on 1 June 2017 at the 18th EFORT Annual Congress held in Vienna, Austria. Its objective is to support the required basic and advanced knowledge and skills for the orthopaedic community. Residents and young specialists that require updated summarized concepts in orthopaedic basic science to prepare for exams (EBOT, national registration & other). Orthopaedic surgeons that plan to enter research – young specialists, residents or specialists planning to start or participate in projects, specialists screening new hypothesis to start new projects reviewing current state of the art and research opportunities. iv) fundamentals of general orthopaedic science. ii) material on the curriculum topics. MCQs will be provided at the end of each presentation and attendance to the course will be awarded with an EFORT certificate. raise the ability of surgeons to use e-Learning.